I’m back! I am so sorry I haven’t been posting the last few days. I’ve been hard at work on my $1 holiday guide for domino due out the end of next week. My next task: getting the house ready for my Thanksgiving guests. At the top of the list is a guest bed and dining chairs. 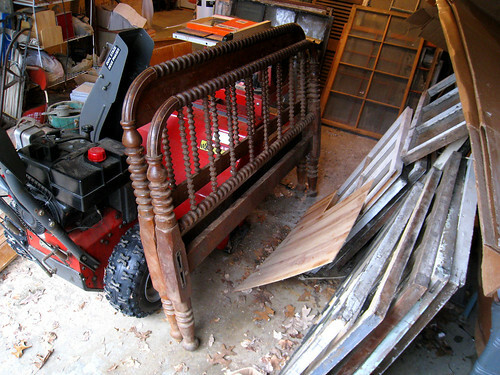 Last week I drove up to NH and checked out a Jenny Lind bed I found on ebay. The bed I wanted was no longer available but I was in luck…he had three others! I choose the bed above. A great deal for just $250. 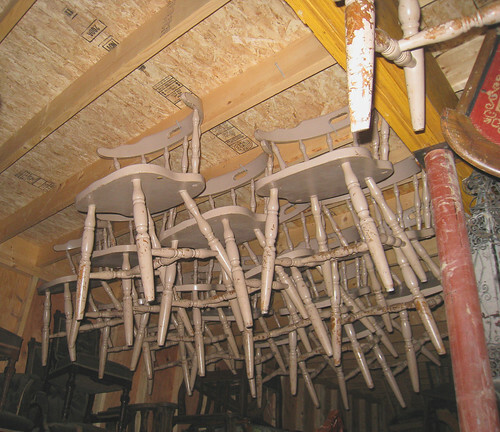 I spotted the Windsor chairs below in the owner’s barn. 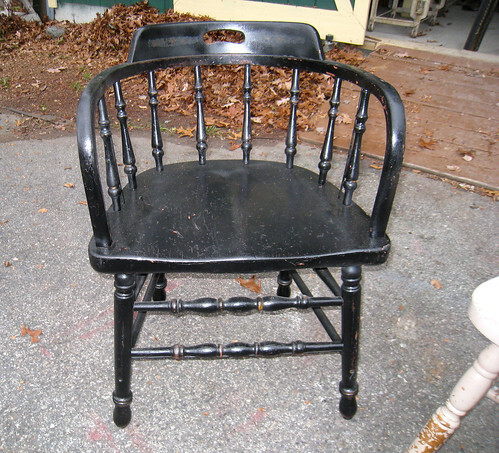 I am partial to the black bentwood style. 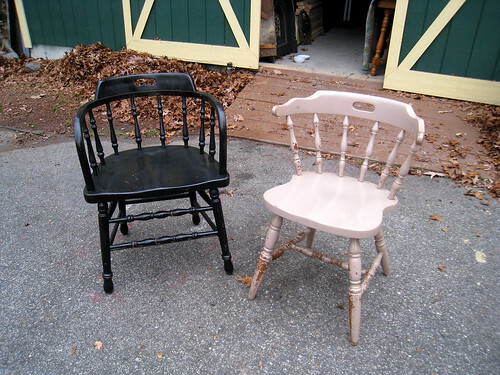 I’m just afraid the chairs are too masculine and bulky for the space. They are pretty cool and I still love them but just not for my space. Check out more from this great ebay store: stores.ebay.com. I have a bed-frame exactly like the one above! It was my grandmother's and I'd love to use in in my space, but I have no idea as to how to decorate with/around it.